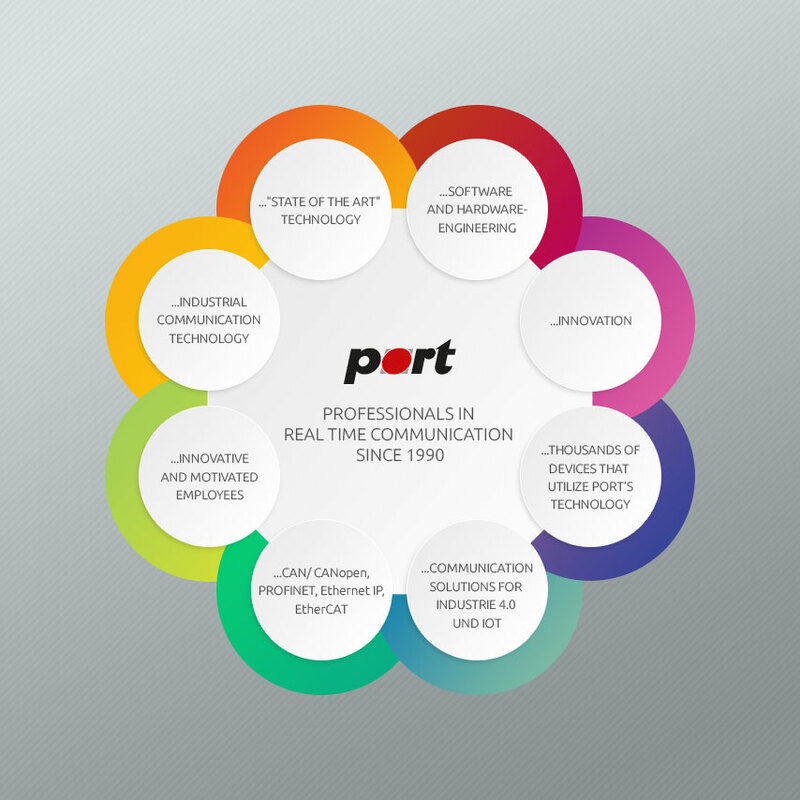 Port (Germany) provides the version 4.5.13 of its protocol library compliant to the latest CiA 301 CANopen application layer and communication profile specification. Port is supplying CANopen libraries since more than 20 years. The recently released version 4.5.13 has been comprehensively revised and is now available as an update to the customers. Customers with service/maintenance agreement receive automatically the update. The improvements include a report function for any received message to the application software. This allows the application to suppress further handling of a message by the library. The library can now report the time until the next internal event. This could be used to improve timing of FlushMbox calls, which should be called promptly when receiving a message. The dynamic services setup now uses calloc instead of malloc to ensure NULLed variable initialization, when using dynamic services setup on single-line more internal functions use values derived from arguments of initDynamicServices, where applicable. Goal (Generic Open Abstraction Layer) by Port (Germany), is a middleware to integrate real time communication in IoT and Industry 4.0 applications. It supports CANopen and was developed for Renesas' MCUs. GOAL - (Generic Open Abstraction Layer), is a middleware designed to integrate Real Time Communication in IoT and Industrie 4.0 applications.The new GOAL middleware offers already without fieldbus functionality many features like Switch-Management, Core to Core communication As well as the 5 most frequently used Communication Protocols like PROFINET, EtherNet/IP, EtherCAT, POWERLINK and CANopen. The new GOAL (Generic Open Abstraction Layer) middleware from port GmbH supports the popular industrial communication protocols PROFINET, EtherNet/IP, EtherCAT, POWERLINK and CANopen. Dietmar Franke, CEO port GmbH, said: „ We see many small- and mid-sized companies not being able to handle the effort and know-how requirement of IoT and Industrie 4.0. We want to enable such companies to access the market and to serve their customers. Our customers keep the focus on their core-competency, our GOAL middleware takes care of the communication.“GOAL offers a sophisticated “Network Management” with PHY management, Ethernet frame sending/receiving, switch management with CLI, interface management, IP address management, HTTP server and more. The integrated “Configuration Management“ offers convenient configuration options like central management of configuration variables, variables identified by module and id, callbacks for value validation and when values change, or loading/saving of variables. Extensions, such as DLR, IEEE1588, RSTP, 802.x, Profibus DP are also available. All options are available for the Renesas MCU platforms RZN, RZT and RIN32M3. With the latest RZ/N1 family, Renesas aims to replacethe existing multi-chip solutions in industrial controllers,industrial switches and operator terminals with asingle, low-power-consumption SoC (System on Chip).The high level of integration allows a combination ofARM® Cortex®-A based application core as well as anARM® Cortex®-M based real-time communication enginecast on a single die. The following CiA documents can be downloaded directly. describing both standard and extended message formats. In order to be compatible with this CAN Specification 2.0 it is required that a CAN implementation be compatible with either Part A or Part B.